From the cafe to the concert hall to the Down by the Riverside series, catch some live music in Rochester, MN. There&apos;s no shortage of live music available in Rochester, MN, with its eclectic array of venues. Whether in a low-key cafe or high-energy concert auditorium, finding something to satiate your musical taste is as easy as exploring the bustling downtown any evening of the week. Canvas and Chardonnay, located in downtown Rochester, is the comfortable, inviting home of a popular Tuesday night live music series, Art Heads Live. The downtown painting studio is also an art gallery featuring event space, and that event space becomes a warm and welcome gathering place for lovers of live music once a week. The weekly lineup is comprised of mostly local musicians, with a few statewide or regional performers sprinkled in the mix. There&apos;s nothing quite so relaxing as listening to live music in a cozy coffee shop with roasted beans permeating the air. This is Cafe Steam, which owner Will Forsman envisioned being a space that is "neither work nor home, where people can feel comfortable being themselves, all centered around serving excellent coffee." Musicians have found a warm reception at Cafe Steam with open mic on the first Thursday of the month and booked performances on Friday and Saturday evenings. Whether a solo acoustic, small-piece band, poetry or spoken word performance, the intimate, homey setting creates a personal experience between audience and musician. Since 1938, the Mayo Civic Center has provided entertainment for the Rochester community. Overlooking the Zumbro River, the prominent window-lined complex houses three concert venues with seating for 1,000, 2,500 or 5,000. Right in the heart of downtown, the Mayo Civic Center brings smiles to event-goers enjoying theatre, ballet, holiday shows and music concerts year-round. 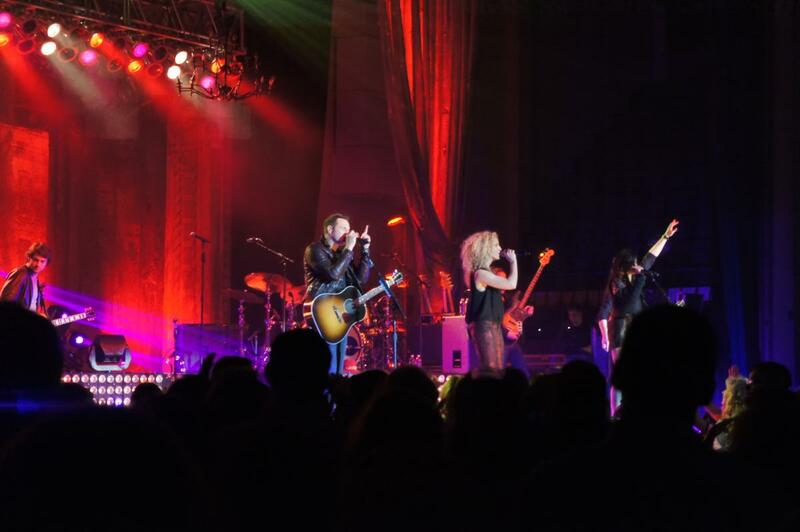 Recently, the Mayo Civic Center has welcomed guest performers like Little Big Town, Lorie Line, Three Dog Night and the Gear Daddies. The destination can be reached through climate-controlled skyways connected to restaurants and shopping nearby. Order tickets online or visit the box office in person to save on ticket prices. Enjoying free music by the river in Rochester, MN is a favorite summer activity and attracts crowds from all over the area. Free Down by the Riverside concerts are held on Sunday nights during the months of July and August. Spectators bring their own chairs and blankets to sit on, and enjoy a summer evening along the Zumbro River. The concert series features a variety of genres of music, with the 2018 summer series including Gin Blossoms, the Suburbs, Chase Bryant, Jefferson Starship, and more. For the unbeatable combination of hand-tossed pizza and live acoustic music, the Redwood Room in downtown Rochester hosts musicians every night of the week. In addition, the Canadian Honker restaurant (named for Rochester&apos;s often-sighted geese) not only offers comforting dinners like their Apple Cinnamon Porkchops and fresh, hand-pattied burgers, but boasts live music on Friday and Saturday evenings. Experience jazz, folk, rock and oldies for a memorable night out. Check out our Event Calendar for the latest list of live music performances, and discover other opportunities for nightlife in Rochester, MN.